It might not seem likely that health care, filmmaking, and the retail industries have any business methods in common. But if we pulled a Venn diagram out and got to work, we would soon discover that THAT is exactly what thread they share: diagramming. Between workflows, planning out processes, scheduling, and data visualization, every business can certainly benefit from diagramming. But how can your particular industry utilize diagramming tools to maximize production and communication? Follow the thread to Cacoo, a dynamic environment that all industries alike can jump into and stitch together compelling diagrams that add depth to any project or process. The healthcare system an intricate network comprised of many parts and people that work not only to keep others healthy but to also ensure processes and finances stay on track. From check-in to exam, doctor to patient, hospital to pharmacy, there are many systems within the system, and each one relies on the other for the system as a whole to keep flowing and work to its potential. If you’re in healthcare, you know just how important organization is for these processes to flow in sync with each other. So it benefits this industry immensely to use diagramming as a form of organizing the various processes and make sure they flow together smoothly. 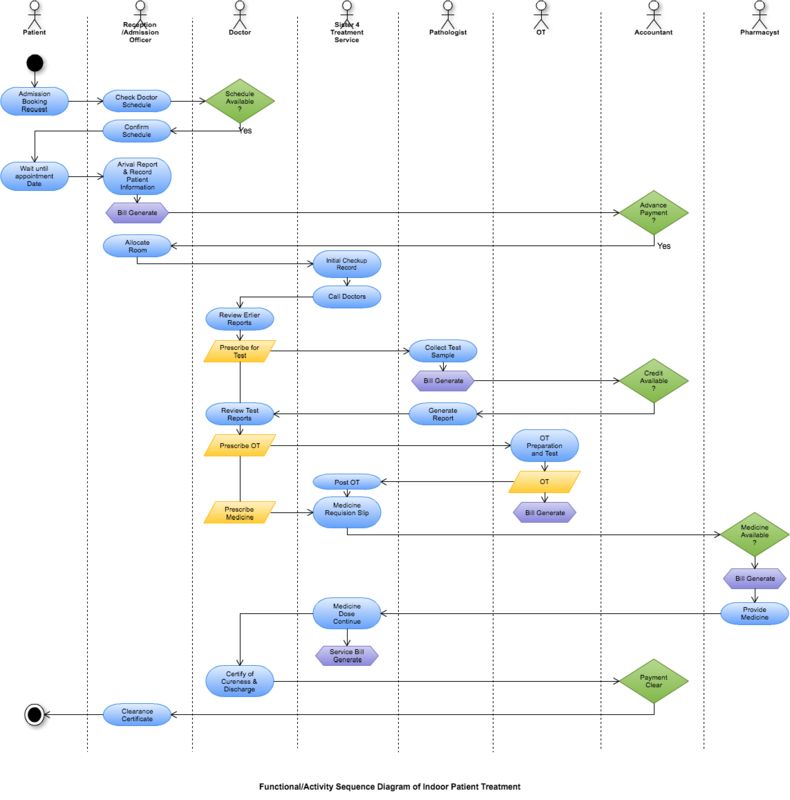 A flow chart is a great place to start when creating the workflow. In the diagram below, created by Ashim Sikder in Cacoo, you can see every person, place, and interaction of an inpatient experience, from check-in to accounting, to the pharmacy. Another guide can be found in this series of in-depth flowcharts and diagrams provided by the U.S. Department of Health and Human Services. Use the tools and inspiration at hand to create a personalized chart for your system. Diagrams can also be used in healthcare to create organized patient charts by adding body diagrams, checklists, and detailed graphical documentation. You can even use graphs to chart patient progress or to track their medication. Diagrams can really highlight data and augment the patchwork of healthcare organization and data communication. From development to post-production, there are many hands involved in a single film, tv or commercial production. Gantt charts can play a huge role in scheduling out the project starting with big timeline goals right down to the daily schedules of the crew that ensure all deadlines can be met. But outside of organizing a schedule, diagramming can reach its creative potential in the film industry. In fact, it can be a key piece of the production starting with the development of the storyline. Character mapping with Cacoo is a great way to digitally visualize the depths of your character. As a character evolves, you can always add or edit the details on the canvas, export the diagram and share it with the creative team. 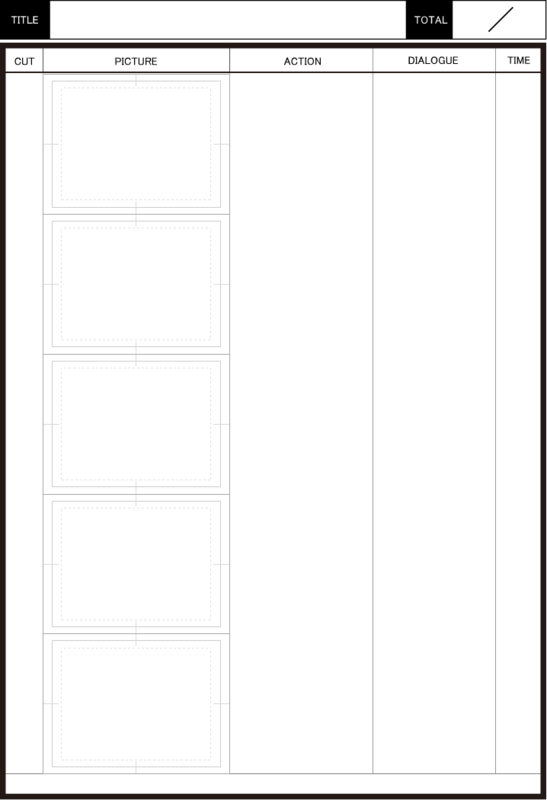 Storyboards can also be developed on the canvas. See the diagram below, created by 坂井孝介@Thinkgear, as an example. Once created, you can export it and print the template or use the tools and stencils in Cacoo to fully develop your storyboard. If you are collaborating with your creative team, each member who shares the storyboard or character map files can access and edit them at any time. There are many other ways the film industry can embrace diagramming. With the available stencils and dashboard tools, you can bring set design to the Cacoo canvas. Location scouts can create charts for organizing the details of locations and for presenting that information to the production manager. Whether or not the camera is rolling, diagrams can certainly add character to your production. Your inventory is key to meeting the demands of your clientele. Tracking your stockpile of goods is made easy with Cacoo. Create an inventory report diagram and share it with your employees. They can update the document in real time so you can constantly know what you have available to the buying public. 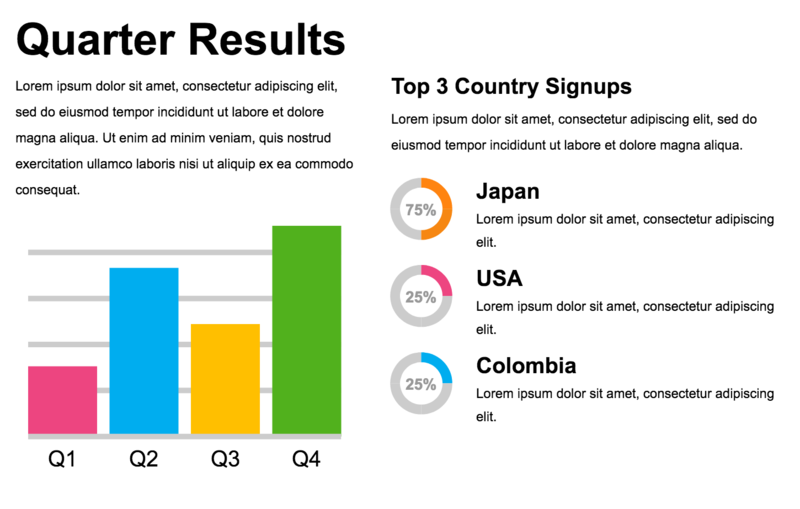 Since you’re tracking this data, use Cacoo to visualize your sales with a bar graph. You can also create a supply and demand graph that can inform you and your buyers how much of what items you should be stocking up on and at what prices you should be working with for purchasing and for resale. There’s more to your store than just goods and services. It has its own personality and ambiance that share a common thread of the retail experience that you are providing. You can set up your store layout and displays with diagrams and update them based on the season and inventory. Know in advance of shipments where you will set up the items. You can create the flow of foot traffic right in the Cacoo canvas. 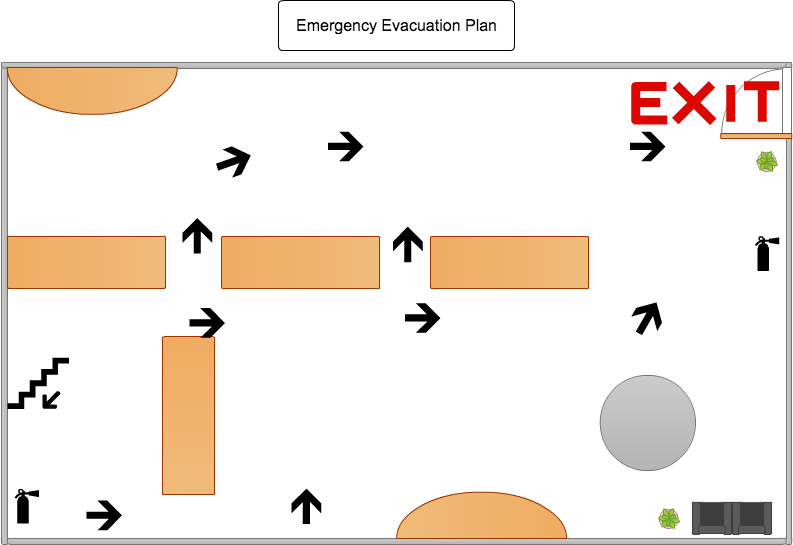 You can also use these very sane blueprints to create an emergency evacuation plan. In an unlikely event of an emergency, staff and customers can all have access to an easy and organized way to reach safety. With numbers and data in perpetual abundance, diagramming is an invaluable resource for finance industry professionals to tailor data to their client’s needs. When working with clients, illustrating assets and growth with graphic visualizations provide a strong representation of personal data to accompany statements and inquiries. Financial planners can use Cacoo to easily create bar graphs or pie charts for clients seeking this visual explanation of finances. Diagrams can also be used to track stock market trends through both charts and graphs. Visual charting of daily, weekly or long-term data is a great tool for a stockbroker to help clients understand the market and their personal stock portfolios. 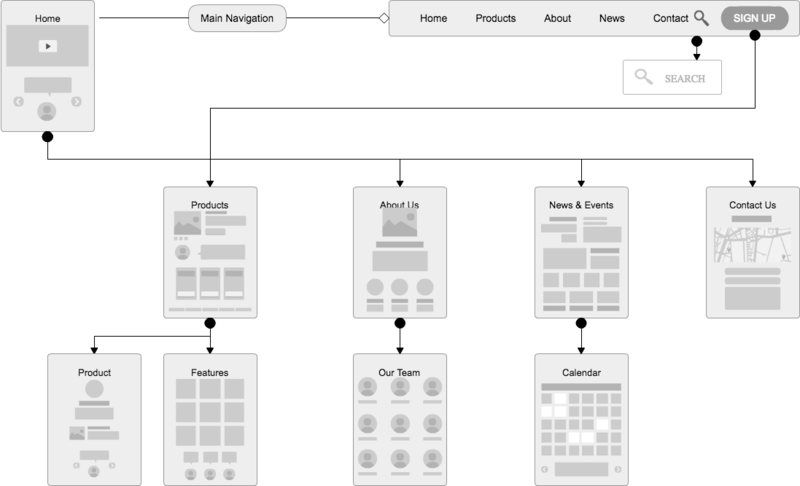 For front and back-end developers, diagrams are the building blocks for any project that are used to inform the wireframe and design of the final product. 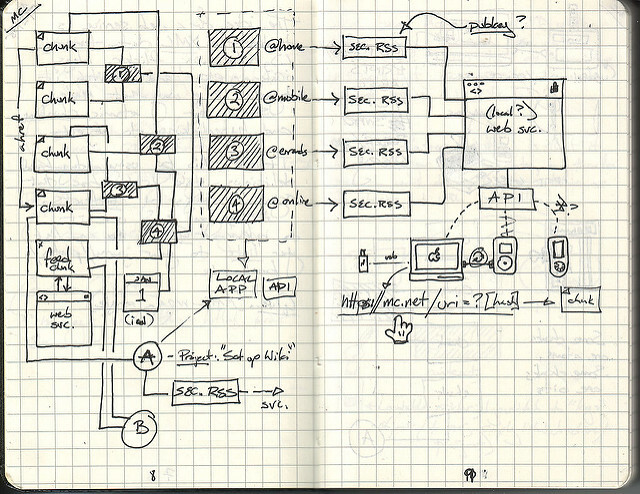 Sitemaps and flow charts are the patterns that map the project. When building a website, knowing the exact flow will indicate any possible link, button, image, form or content that will be needed in the build of the site. The same goes for apps and games. By knowing the roads you need to take, there’s a better chance that you will arrive at your destination. With the flow established, the next step in dev is to put together the wireframe and create the visual prototype of the product. As a developer, you never have to leave your Cacoo diagram project. Open up a new sheet with a template or create your own diagram from scratch using the tools and stencils. 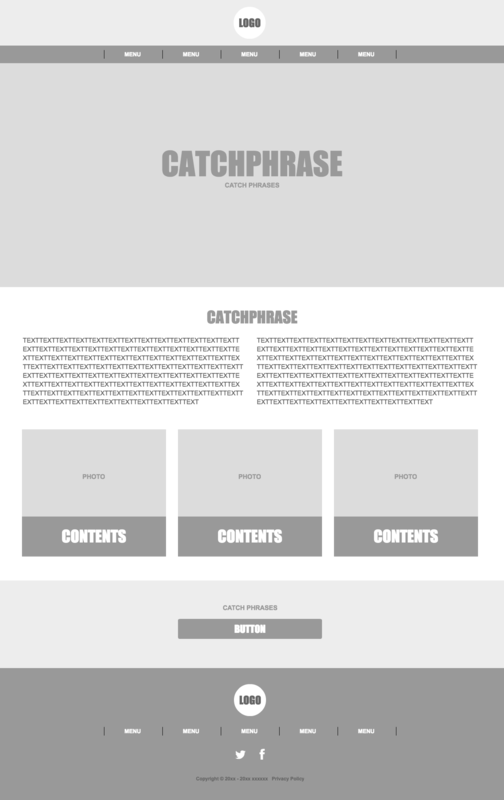 Once your wireframe is ready, then it’s time to dive into the code. Diagramming is a powerful tool for any industry. You can use this toolkit to stitch together an assortment of lines and stencils to create the dynamic patchwork of future success.